New from Phonak! Audeo B-Direct – The future is here! Introducing Phonak Audéo™ B-Direct hearing aids that easily connect to your cell phone* and your TV. Phonaks proprietary technology powers hearing aids that can adapt to a variety of sound environments automatically. 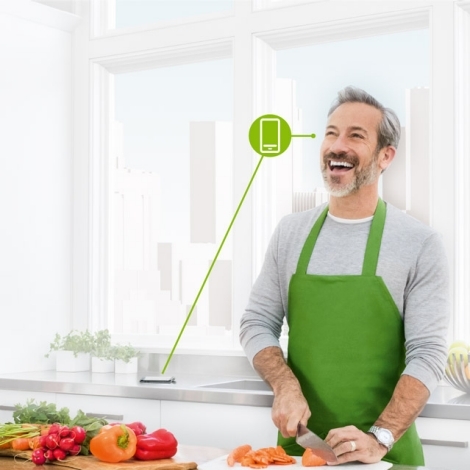 With Phonak Audéo™ B-Direct, they have introduced their first hearing aid designed to easily connect to your cell phone and TV – and of course, the world around you. This means NO MORE streaming device worn around the neck. You can answer your calls with a press of the button on your hearing aid! The microphone on the hearing aids act as the phone mic and the callers voice comes in directly through your hearing instrument! Truly hands-free operation!